A scorer on arriving at a trap should find a mobile device waiting for them. The device should already be switched on and logged into the scoring app. The scorer may need to "activate" the device to begin scoring (this will generally involve pressing the "home" button on the device). To view a larger version of the images below simply click on them. 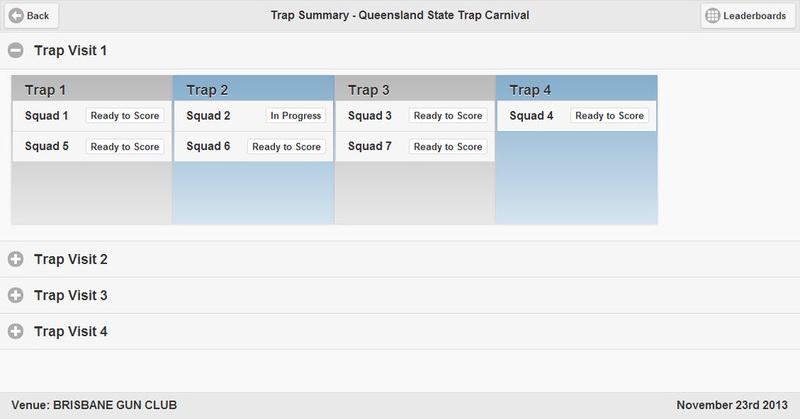 Once activated the device will display a list of squads available to score by trap and by visit. The scorer should locate squad for the trap and visit they are there to score. Once located the squad name should be pressed. This will take the scorer to the squad review page. If a shooter has not turned up the scorer can remove them from the squad by clicking the X to the right of their name. The app will automatically adjust the lane allocations for the remaining shooters. If the starting lanes for the shooters need to be adjusted the scorer can do this by clicking the down and up arrows to the left of the shooters name. 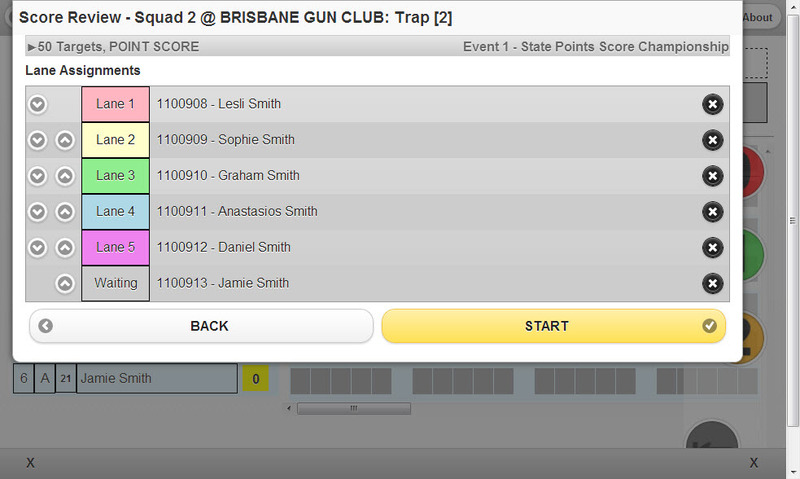 Once the scorer has confirmed the targets and disciplines to be shot, the members of the squad and the lanes they are to start shooting from the scorer should press the start button to begin scoring the trap visit.